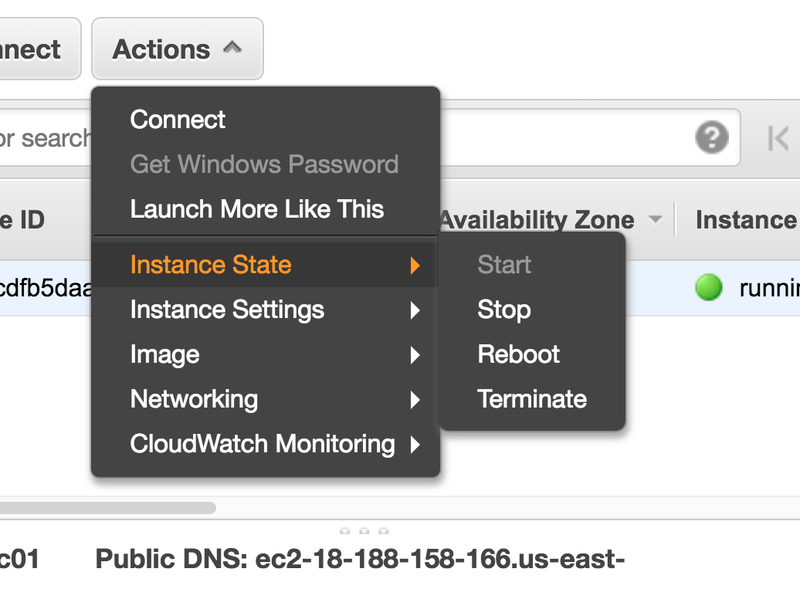 This tutorial focus on configuring OpenVPN on Amazon AWS EC2. We will not be going through the process of creating an Amazon account. For details about Amazon AWS please refer to the main site https://aws.amazon.com/. A lot of changes happened in the span of few months. 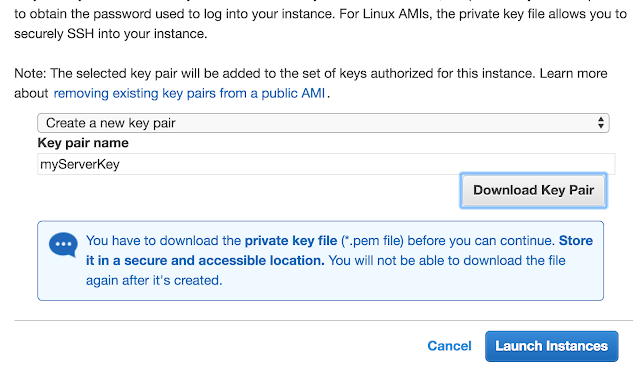 Openvpn is not in AWS AMI repo anymore. We need to install the latest version of Openvpn frpm EPEL and the configuration is very different. Thus we decided to create another version in a new post. If you are still using an old image of AWS and you have already installed Openvpn then the following setting may still work. We would like to shout-out to Paul Bischoff for his post on "How to make your own free VPN with Amazon Web Services". He has recently updated the post for easy-rsa configuration. He made it easy for installing and configuring easy-rsa. However, we did not follow his openvpn configuration. For configuration we refer to openvpn HOWTO articles. 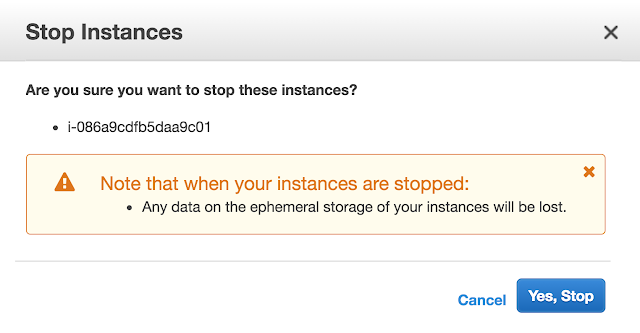 First login to Amazon AWS, then navigate to EC2 Dashboard. Select Services and EC2. On the left column select EC2 Dashboard. We should have the screen similar to below. Please also note that we can create server in any region we choose. To switch region, please look out for the location at the top right corner next to our userid. Click on the location and select the region we want. Similar EC2 Dashboard will appear. 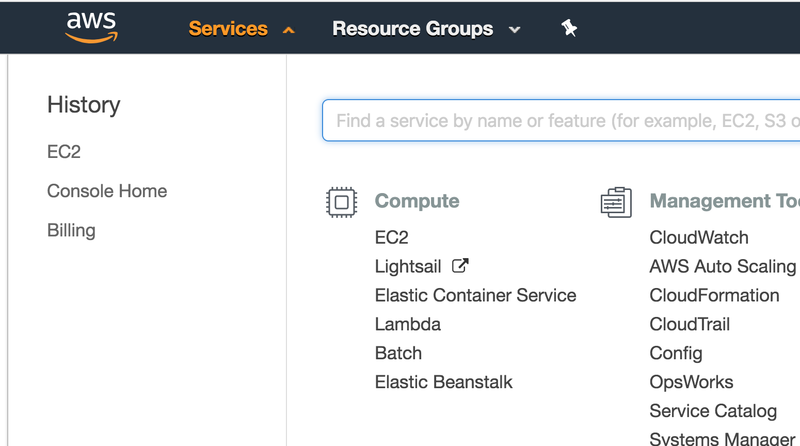 At EC2 Dashboard, scroll down the main page to display the part on "Create Instance"
Select the first image by clicking on Select. The screen will show the details of our selected image. Please note that for new user, Amazon provides a 12 month free tier provided if we do not exceed certain usage limit. The first image is eligible for the free tier. The screen above show us the CPU capacity and RAM allotment for our server. We can select other server and pay for the usage, for a start, we will stick to the free tier. Please scroll down to configure our security group. Please note that there will be warning since our source is anywhere. If we want to be able to access the server from anywhere, we should leave the source as anywhere. Click Review & Launch. In the next step, we review all the settings such as image and security group. Once we are satisfy with the settings, scroll to the end and click Launch. The next step is to create key pair. Please note that for EC2, we do not login to the server with our Amazon account. We will not be using any account to login the server. We connect to the server using key pair. Select Create a new key pair and enter the key pair name. Once it is done, click to Download Key Pair. Once the key is with us, please safe keep this key file. we would not be able to login to the server without the key file. Scroll down and click Launch Instances. This section briefly discuss, the very basic of managing instance. Please note that if we want to remain in the free tier, there are limits on how many instances we can create. This instances summary tell us what instances we have are running. Next, we would like to pause and explain a bit about EC2 instances. One important information we need is the IP address. Once an instance is launch, it will be assigned with a public address. We need the ip address to connect to the server. Under normal tier, every instances contributed to the billing meter. We can reboot the instances. Please note that the billing meter will still be counting when you reboot. If we stop the instances, the data will be LOST for normal instances without EBS. EBS is the service that provide persistent storage system for EC2. For EBS-backed instances, data will not be lost. Only the public ip address remains. However, if we terminate the instances, the billing meter stop. Once we terminated the instances, the data, configuration and ip address for the server will be lost. Under Instance State, we can Stop, Reboot or Terminate. If we select Stop, the system will warn us the all data will be lost. Let refrain from stopping or terminating the instance. In the next section, we will be connecting to the instance/server. In this section, we will be showing how to connect to the server via ssh. Please note that this section is for Mac/Linux user. For Windows user, please refer to the article mentioned at the beginning. First we copy the file myServerKey.pem to ~/.ssh folder. If we do not have the ssh folder, we can just copy the key file to the home drive. After we start a SSH session, a hidden folder will be created in the home drive. The follwoing command is to copy the session key to the .ssh folder. If there is no .ssh folder, use the home folder first. Before the next session, we can copy the file to .ssh folder. Next, we would like to prepare the server for openvpn. Next, we would like to create a directory for easy-rsa under /etc/openvpn. This way any configuration will not be lost when there is an update. It is not advisable to store the configuration under /usr/share folder. Please note that we will be asked to create the password for the CA. It is advisable to create a good and long password. Next, we will generate a Diffie-Hellman key. This is to provide forward secrecy. Next we generate the vpn server certificate. Please create a good password for the server certificate. Please note that for the second command, it will prompt a signing password. We need to use CA PASSWORD FOR SIGNING. There is one little problem using the above certificate. Every time when we reboot the system, it will ask for server certificate password. The password is use to encrypt and lock the server private key. Next, we generate client certificate. Similarly, create a good password for the client certificate. If we are generating the client certificate for family or friends; we may need to ask them to enter the passphrase. Similarly, use CA password for signing certificate. We can create as many client certificate according to our needs. Finally for added security we add TLS security by generating a ta.key. This feature is to prevent DDOS attack. We need to copy keys generated to client for connection. For that, we prefer to create a separate folder and park the necessary keys to the folder. Please note that while preparing the key files, it is easier if we use operate as root. Please note that all the keys and certificate are necessary for the client to use except one key. The key that are not required is ca.key. We copy this key for safe keeping offline since it is not necessary for the server to use this key. Just a reminder .crt files are public key and .key are private key. If we are working with multiple clients, then we can only give them the appropriate client private key. Clients can have all the crt files. ta.key are for extra security, similar to dh.pem. Finally, we clean up the ca.key and change the permission to the more restrictive one. client.crt - must be the same certificate create for the user. client.key - must be the same key create for the user. Please also reminded to safe keep ca.key. We can get a sample server configuration from the openvpn site. Please copy the conf file to /etc/openvpn and use any favorite editor to edit the configuration. Before we start connecting the vpn session, we need to configure the client file. Copy the sample file from openvpn site. For Mac OS X user, we do not recommend the client software provide by openvpn; instead we recommend to use Tunnelblick. We can get their software at https://tunnelblick.net/. Please follow the site tutorial on how to use tunnelblick. But it is quite intuitive. enter client password when asked. Alternatively, we can also use network manager. Now, we can start the session. To test connection, please ping 10.8.0.1. If ping test is successful then we are good to go. If client failed to make connection, first check the server log to see if openvpn is running. If server is running well with no error and client still failed to make connection, perhaps we should try to make connection in a public wifi. Try to make connection from different location to see if the problem lies with the firewall. If connection is successful but we cannot use the browser, then we need to check the DNS settings. Please remember to check the server configuration file. When you have established vpn connection on a wifi network, but you could not browse the internet. There are some troubleshooting steps involved. The first issue is name resolution, so you need to ping the DNS server. If DNS server is reachable, we should clear our DNS cache. Please also check wether we could browse using other browser. If all is fine, then, there is one possibility. Some public wifi disable udp port. In this case we need to reconfigure our server to run on TCP port. Please note that using TCP port for openvpn will slow down the transmission speed. For server configuration, we just need to change the proto from udp to tcp. Please also make sure to add a custom TCP rule that open port 1194 in the AWS security group. Very IMPORTANT, please comment out explicit-exit-notify as it is not supported in tcp.